Rafi block consists of 5 and 8 marla residential plots and 5 marla commercial plots. Commercial market of rafi block is well planned and quite large in Safari Valley where many commercial plazas have been built already and many businesses are operating. 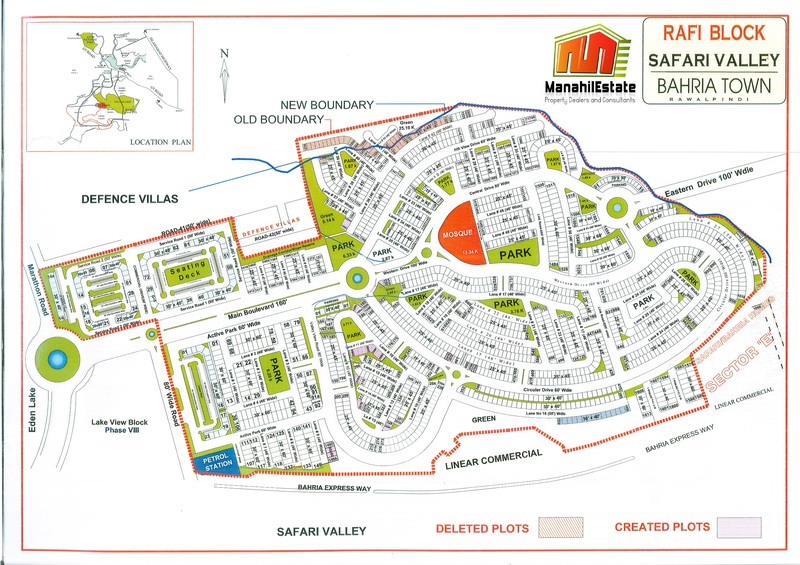 Rafi block is a bit different from Safari Valley due to its planning, as its streets are 46 feet wide while streets in Safari Valley are 30 feet. Main boulevard of 160 feet leads across the block connecting to all link roads having footpaths alongside them. Since Rafi block is located at height, there are certain locations where you get to have a proper view of entire Bahria Town Phase 8 and Safari Valley. Many houses are already built and many families are already living in Rafi block, and it is also considered as one of the best blocks for residence in Bahria Town due to location and inherent features of the block. Plot prices in Rafi block are a bit higher than Safari Valley i.e. 5 marla in rafi block normally costs from 28 to 35 lac rupees whereas same size plot in Ali block costs from 25 to 30 lacs. Other size in rafi block is 30×60, which is a bit larger than 30×55 size found in safari valley, therefore 8 marla plots are also a bit more expensive which range from 40 lacs up to 50 lacs. If you are looking to find residence in Bahria Town, you must keep Rafi block in your priority list since you won’t find such luxurious residence at affordable price anywhere else in Bahria Town. If you require further details on Rafi block or you need to buy something, feel free to contact us using the information given on contact us page.